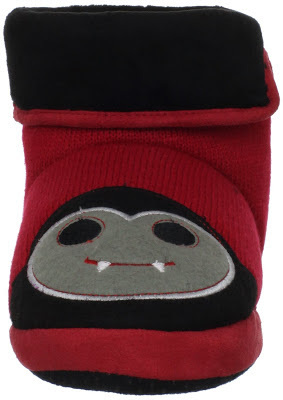 I am giggling at this vampire boot from T.U.K. Shoes. I love when designers have a good sense of humor, and the companies they work for don't hold them back. Here's how they look from the front. This is just what I needed for tromping about on cold autumn days. 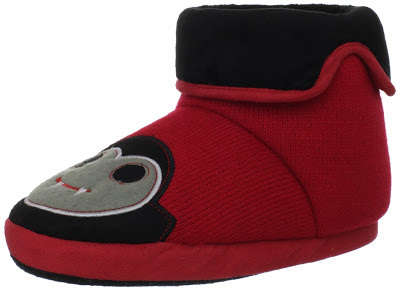 I probably wouldn't let these get dirty at the dog park or snowy in the winter though.